The two companies are freezing plans to raise capacity at Tesla’s electric-car battery plant, the Nikkei reported. In addition, Panasonic will suspend its planned investment in the carmaker’s China factory, which recently broke ground. Understandably, Tesla investors weren’t too happy. Panasonic shares, on the other hand, rose sharply – as much as 4 percent – in early trade on Friday. 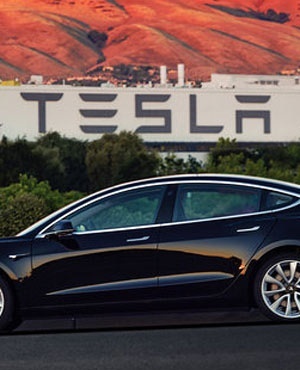 In response to the Nikkei report, Tesla said both companies "continue to invest substantial funds" into the Gigafactory but also noted that "we are seeing significant gains from upgrading existing lines,” allowing them to “achieve the same output with less spent on new equipment purchases." Meanwhile, Panasonic said it is assessing demand and will study whether to invest more in its collaboration with Tesla. The fraying bonds between Tesla and the world’s largest supplier of electric-car batteries shouldn’t come as a shock. In August last year, the US company retreated from an agreement to buy Panasonic’s solar cells and modules for Tesla’s solar facility in Buffalo. Elon Musk’s company invested around $300m in the site, known as the Gigafactory 2. At the time, Bloomberg wrote that the Japanese company would come out of this stronger; investors hadn’t given it enough credit, and probably still don’t. What started off as a promising tie-up – one that helped Panasonic re-position as a "new tech" company that could go beyond traditional household electronics – quickly started to sour as the Tesla hype died out and reality set in. The carmaker’s production woes weighed on the Panasonic division that houses battery-making, which accounts for more than a third of the Japanese company’s revenues. That unit already had been struggling. Meanwhile, Panasonic executives often moaned about Tesla’s delays. In its most recent earnings call, the company lowered sales and operating profit forecasts for the kind of batteries it makes for Tesla. The company has found more reliable partners. It announced plans to set up an electric-car battery joint venture with Toyota earlier this year. Panasonic will put its other battery business in the venture. For one, that gives it stability and reduces dependency on Musk’s whims. The split also gives Panasonic more room to forge partnerships with other carmakers, especially in China where Beijing is slowly warming up to foreign battery makers and electric-car sales continue to surge. It may even be able to stem its market share losses now.